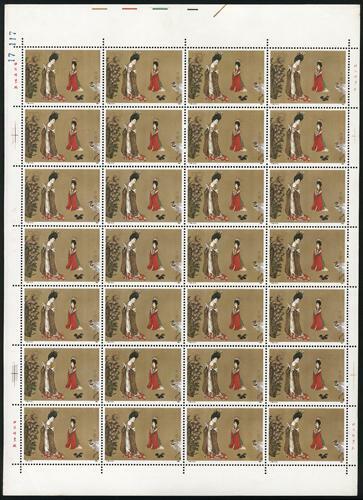 1984 T89 Tang Beauties complete set in sheets of 28 x 3 (Scott 1901-1903), totally 84 sets. Fresh MNH. Very Fine. 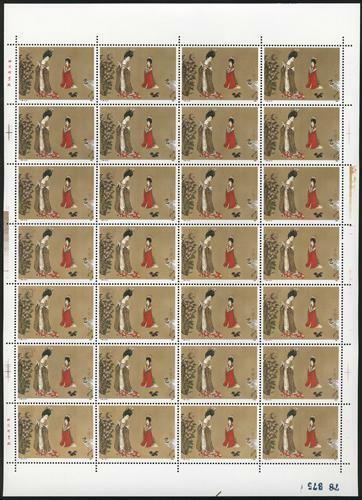 1984 T89 Tang Beauties complete set in sheets of 28 x 2 (Scott 1901-1903), totally 56 sets. Fresh MNH. Very Fine. 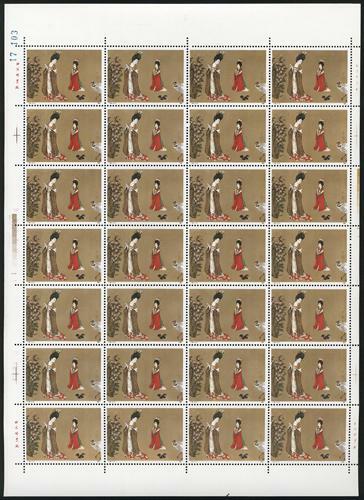 1984 T89 Tang Beauties complete set in sheets of 28 (Scott 1901-1903), fresh MNH with light toning. VF-F.
1984 T89M Tang Beauties S/S x 3 (Scott 1904), all fresh MNH. Very Fine. 1984 T89M Tang Beauties S/S x 3 (Scott 1904), all fresh MNH. One with faults at bottom margin, other Very Fine. 1984 T89M Tang Beauties S/S x 2 (Scott 1904), both fresh MNH. Very Fine.